When is Church Bay not Church Bay? 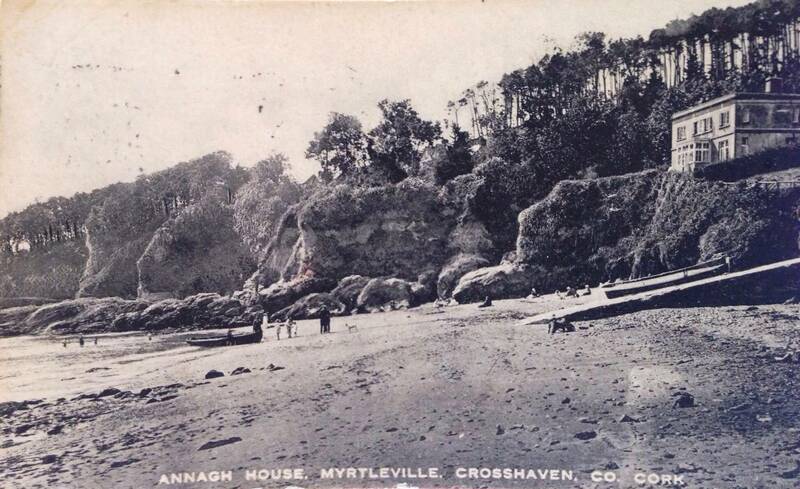 Answer: When it’s Myrtleville, of course. For some reason several old pictures found online refer to Church Bay. 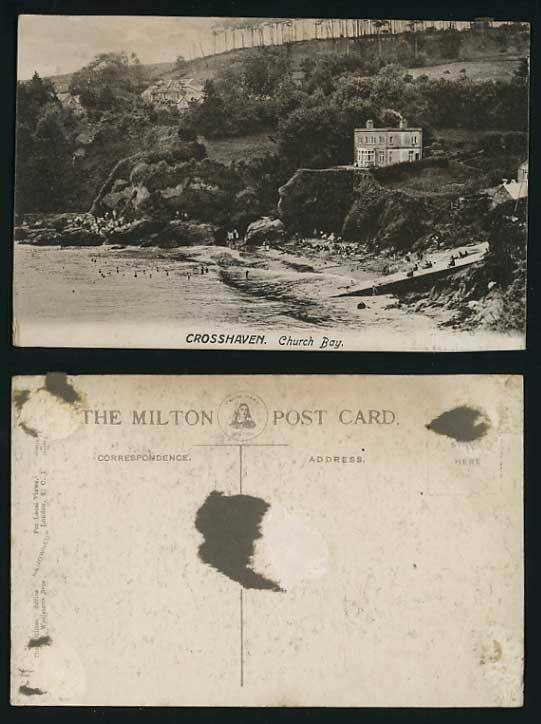 Postcard marked Church Bay, Crosshaven (from Francis Stokes on the Old Photos of Cork FaceBook page). 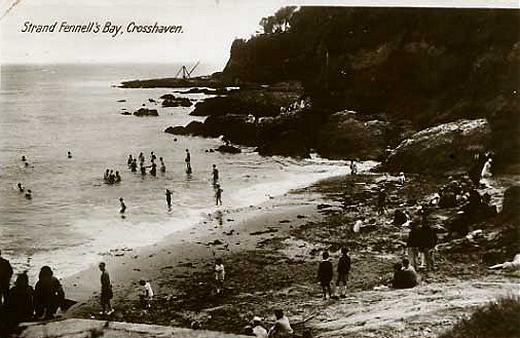 Picture is clearly Myrtleville. William Lawrence in his photographic tours of Ireland took pictures pre-1905. Again, some strangely marked as Church Bay. Picture by William Lawrence taken pre-1904. Interesting to see the clear fields and lack of houses at Fennell’s Bay and overlooking the Dutchman. Other William Lawrence pictures are then marked correctly. 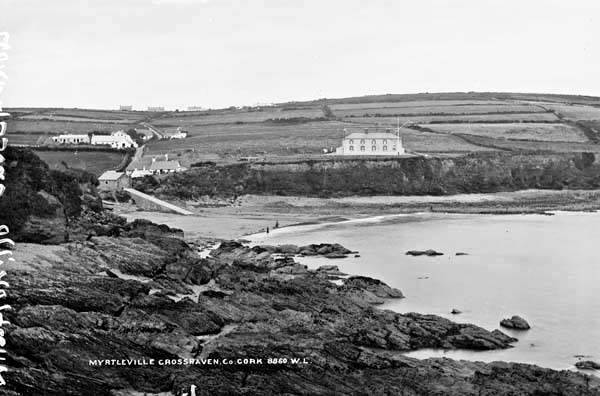 Myrtleville from Fennell’s Bay and on to Robert’s Head in the background. 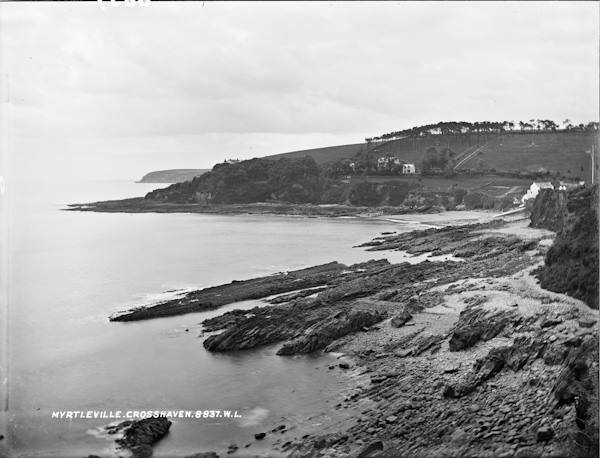 Myrtleville and O’Regan’s field – when it was a field. Annagh House – the 1913 postal directory says Mr. Charles E.L. Olden was the resident. 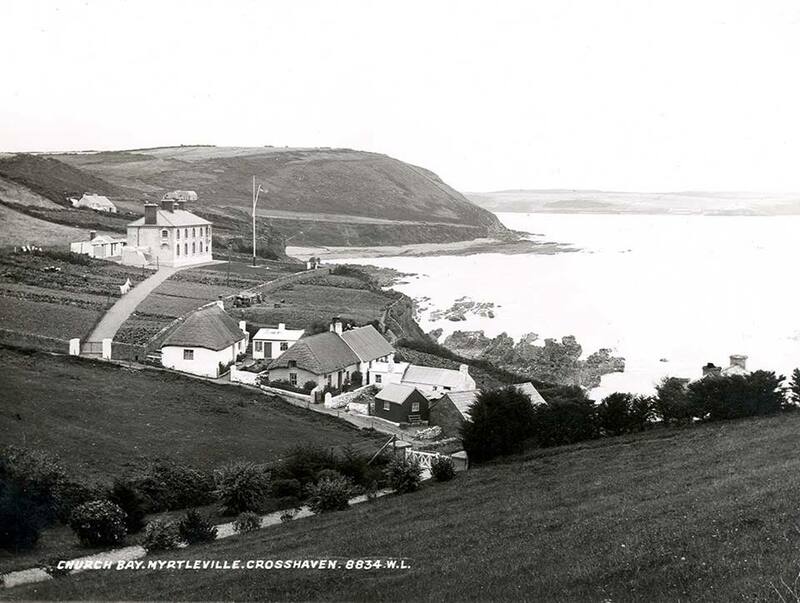 Correctly shown as Myrtleville. We’ve also got one from the 1930’s labelled as Fennell’s Bay! Many of the W Lawrence collection are loosley located – lots of the coastal shots around the harbour are tagged “Queenstown” – and are on the National Library of Ireland’s website. Some cool pix above too! Thanks, Ian. That’s useful to know.